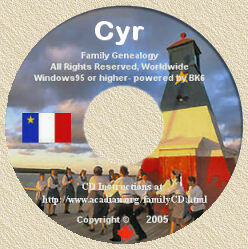 Acadian Genealogy Homepage; The Acadian Expulsion; Myths vs Reality! Several myths surround the expulsion and wanderings of the Acadians. By examining these myths, we can separate fact from fiction and develop a better understanding of the Acadians' tragic ordeal. MYTH: The British expelled the entire Acadian population in 1755. MYTH: Only troops and ships from England were involved in the expulsion. MYTH: All the Acadian exiles eventually made their way to Louisiana. MYTH: The Acadians who went to Louisiana traveled there directly from Nova Scotia. MYTH: Some Acadians traveled overland to Louisiana. "Cajuns and their Acadian Ancestors"